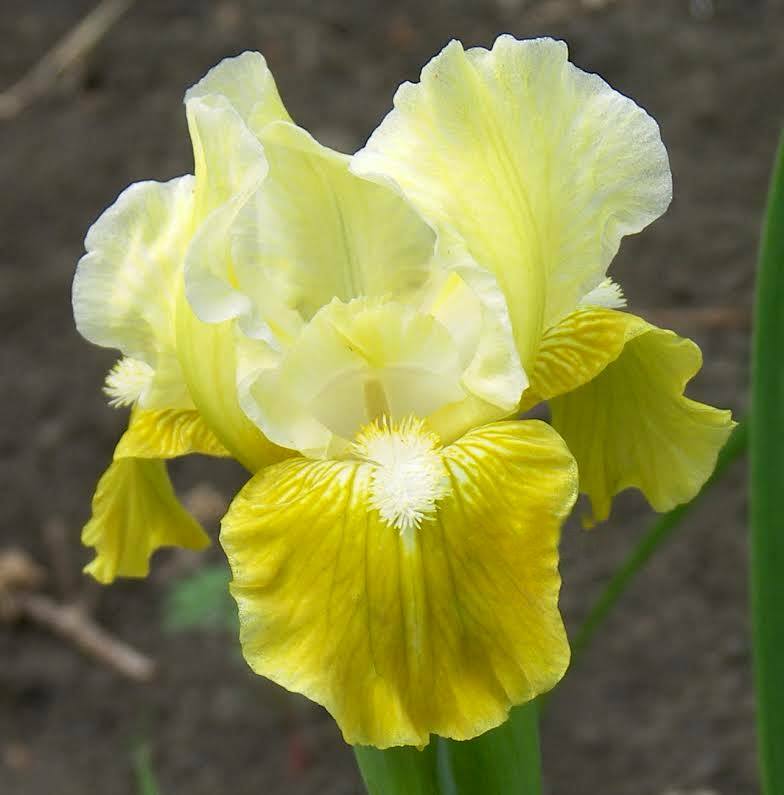 Standards light green-yellow (RHS 8C); style arms same, brilliant green-yellow (4A) midrib; Falls strong green-yellow (153C); beards yellow in throat, light yellow in middle and end; slight spicy fragrance. 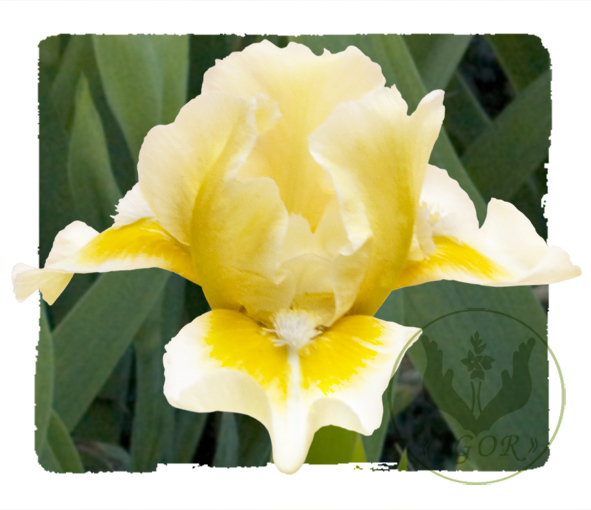 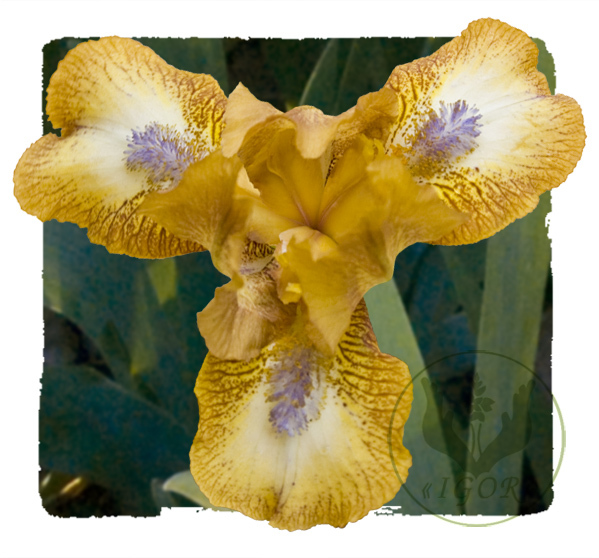 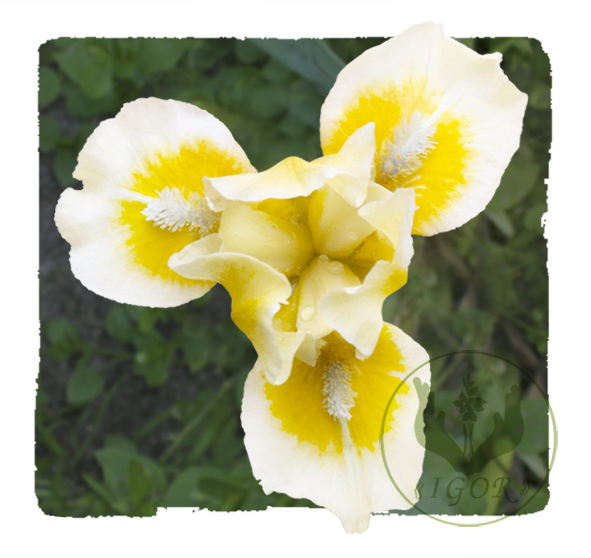 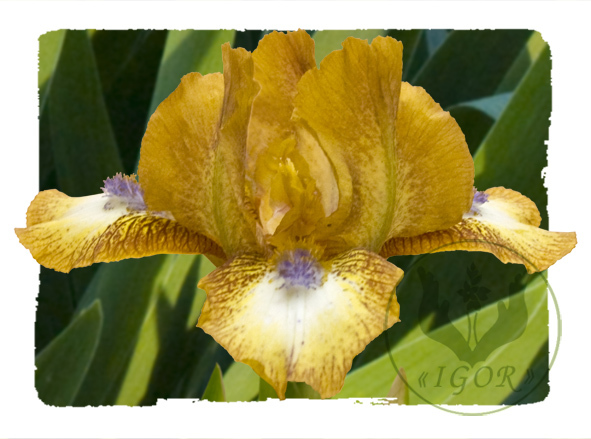 Standards and style arms light yellow (RHS 8C); falls bright yellow (12A), wide cream-yellow (4D) rim; beards smoky lilac; ruffled; pronounced spicy fragrance. 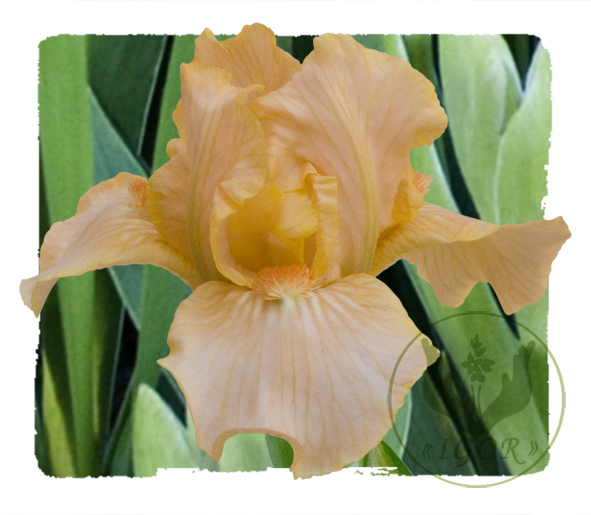 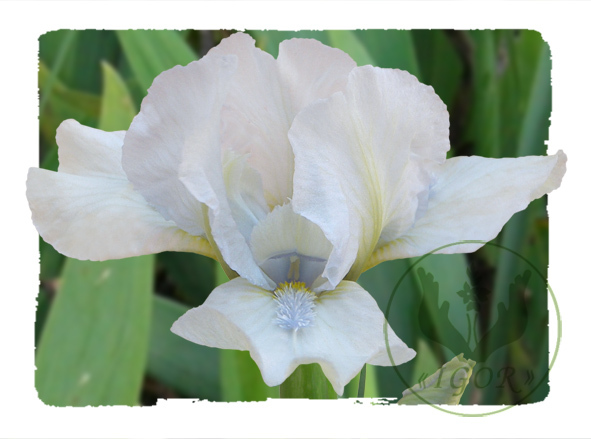 Standards and style arms light brown (RHS 199C); falls light brown plicata pattern on creamy white ground; beards white base, hairs tipped orange in throat, violet midsection tipped orange, tipped violet at end; lightly ruffled; slight musky fragrance. 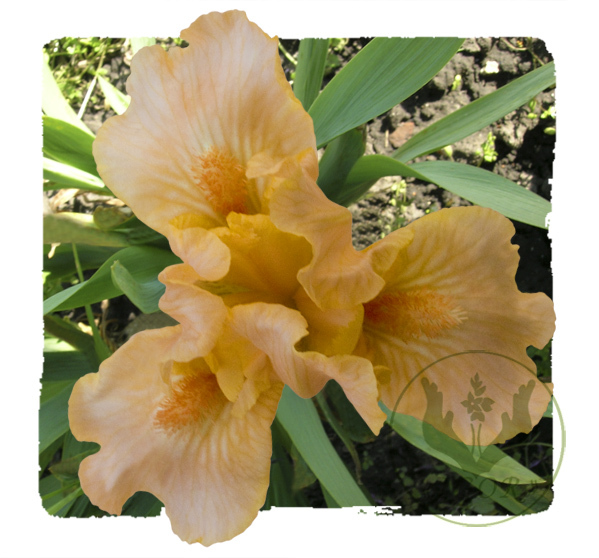 Standards, style arms and falls light orange (RHS 29D); beards red; ruffled; slight sweet fragrance. 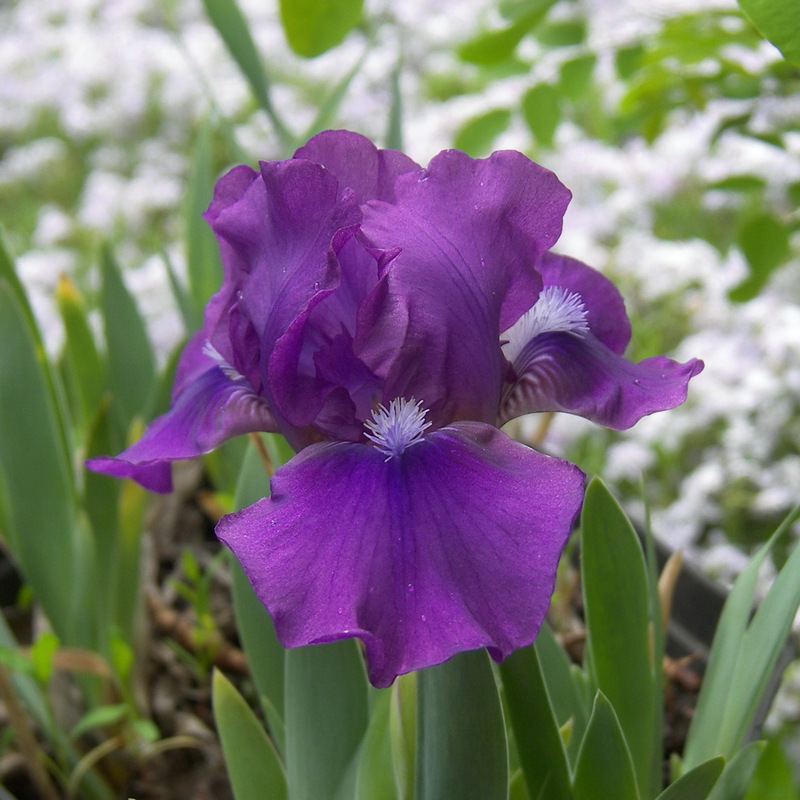 Dark violet-blue self (RHS 89A); beards white blue; slight sweet fragrance; ruffled. 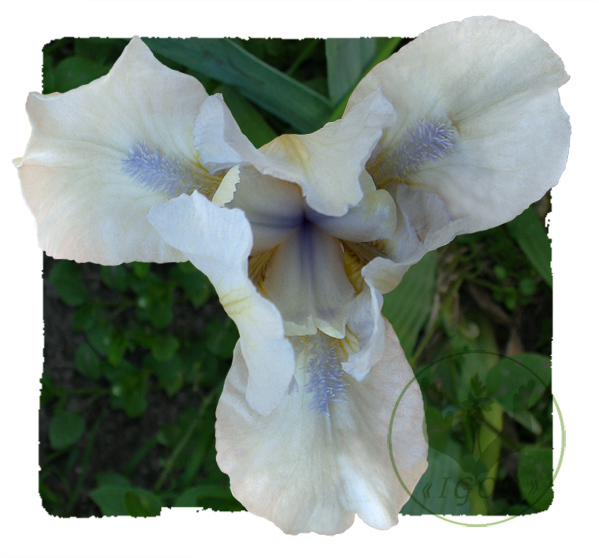 Standards and falls pale blue-violet (RHS 91D); style arms light blue-violet; beards yellow orange, pale blue at end; slight musky fragrance. 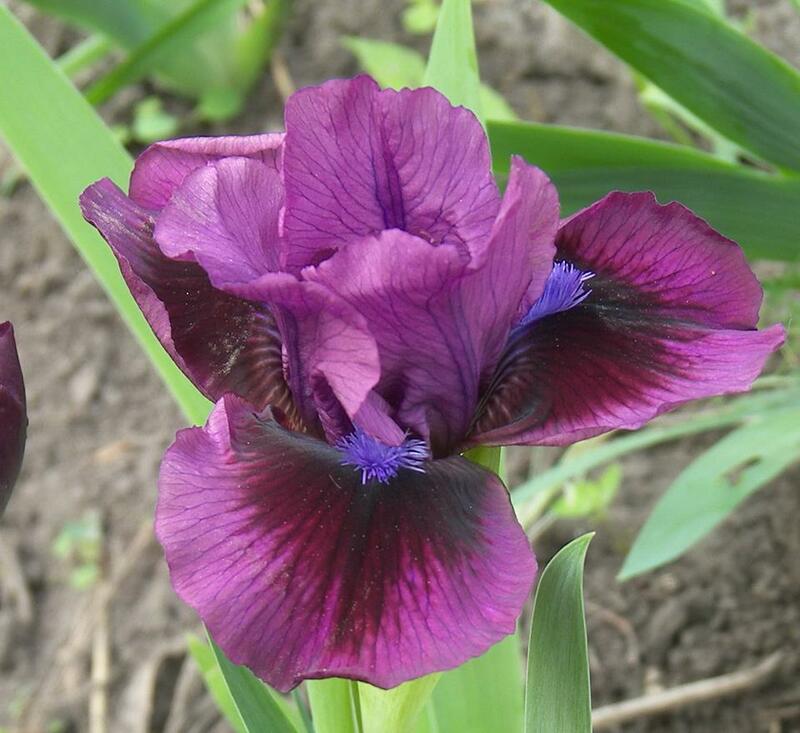 Standards strong red-purple (RHS 72B); style arms strong violet (90B), tipped dark green-yellow (152D); falls deep purple (79C), edged strong red-purple; beards strong violet (93B); pronounced sweet fragrance. 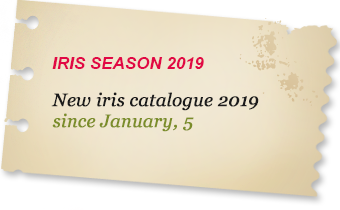 Wellcome page | About Us | News | Catalogue | Exhibition | Contacts | Verses | How to Order?